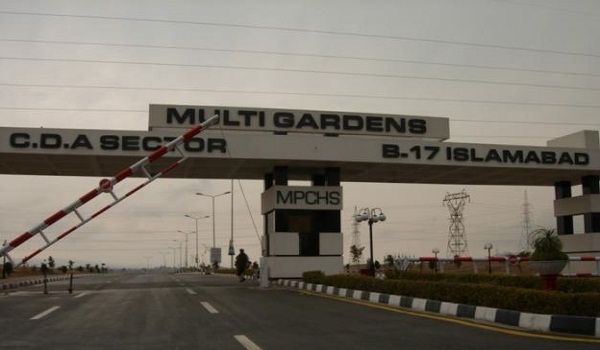 Multi Professionals Cooperative Housing Society (MPCHS) has various successful projects to its name and Sector B-17 (Multi Gardens) is one of them. Although the sector is already accessible from main GT Road, its accessibility will improve even further once Margalla Road has been completed. I have heard that some prevailing issues are barring the construction of the road. Sector B-17 features residential plots of different sizes and comprises six blocks: Blocks A, B, C, D, E and F. Read on to find out more about this locality. Blocks A, B, C and E are almost developed and people have possession of their plots in these blocks. However, Block D is embroiled in a bit of a controversy currently because MPCHS has not been able to acquire the total land for this particular block so far. According to sources, the society management has been unable to reach the landowners in question, which is why the development of infrastructure has not commenced here. MPCHS recently launched new plots in Block F on 15 instalments that are payable every three months. According to sources, bookings for 200-, 272-, 356-, and 500-square yard plots in the block closed 3 months ago. Property prices in Sector B-17 vary from one block to another. Please see the table below to have an idea of the market price of plots in different blocks. As you can see, Block B is the most expensive one because of its comparatively better infrastructure. MPCHS has handed over possession in Blocks A, B, C and E, but it has yet to grant possession in blocks D and E.
The way I see it, Block B is the best one for investment, as infrastructure development in this block is better so far. Secondly, commercial activity is also good in this block. After Block B, I would suggest Block C for investment. However, you should be careful about Block D and invest there only when land acquisition has been completed. That’s all I have to share about Sector B-17 for now. For further queries, feel to converse with me in the comments section below. If you want me to get you in touch with a trusted agent dealing in the locality, please share your budget and requirements with me.